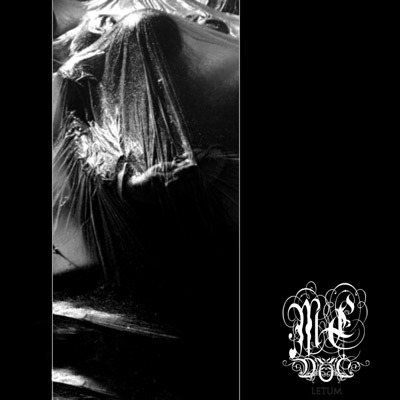 Born with the homonymous debut Melencolia Estatica has soon become as a symbol of tasteful and personal emotive way to rearrange the sombre visions of Black Metal landscape. Letum starts where the melancholic hymn of the debut ended up, with a further obvious improvement on the song-writing and expressive potentiality. The album carries the name of the atavic creature “Letum” as it was called in the Roman mythology, and Keres in the Greek one. Dwelling the underworld, it was the representation of the “overtaking” from the world of the living to the spiritual world of the dead, the concept is about a borderline experience between our life and beyond. Impressive guitar harmonies and disharmonies merge in a powerful dramatic emphasis, neo-classical tunes painted in black. Melencolia Estatica purpose is to paint the black and darkest feelings to draw the listener to a wandering into a solitude introspection. “Letum” is a Black Metal cd destined not only to the underground core of this genre but to all individuals interested in experiencing a trip to the borderline, and over the end of life, the project can sometimes take some shading of early Katatonia and Agalloch.